A large amount of products are dried due several reasons as preservation, weight reduction and improvement of stability. However, on the market are not offered low-cost and high quality products simultaneously. Although there are effective methods of dehydrating foods such as freeze drying, which preserves the flavor, color and vitamins, they are poor accessibility technologies. Therefore, alternative processes are required to be efficient and economical. 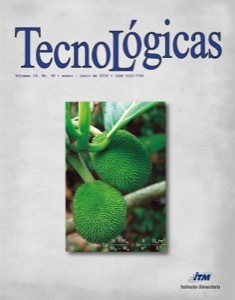 The aim of this research was compare drying kinetics of sliced of breadfruit (Artocarpus communis) using the technique of Refractive Window® (VR) with the tray drying. To carry out this study, sliced of 1 and 2 mm thick were used. Refractive window drying was performed with the water bath temperature to 92 °C; and tray drying at 62 °C and an air velocity of 0.52 m/s. During the Refractive window drying technique, the moisture content reached the lower than tray drying levels. Similarly it happened with samples of 1 mm, which, having a smaller diameter reached lower moisture levels than samples 2 mm. The higher diffusivities were obtained during drying sliced VR 1 and 2 mm with coefficients of 6.13 and 3.90*10-9 m2/s respectively.